This is a sponsored post written by us on behalf of Huggies® Wipes…..as always, all opinions are our own! Guess what!?! Tomorrow, April 12th just happens to be National Grilled Cheese day. Did you even know that was a thing? Well we are big, no HUGE fans of the grilled cheese sandwich around here. We eat it with Tomato Basil Soup, or sometimes we throw in some ham, we change up our cheeses, we try it lots of different ways. 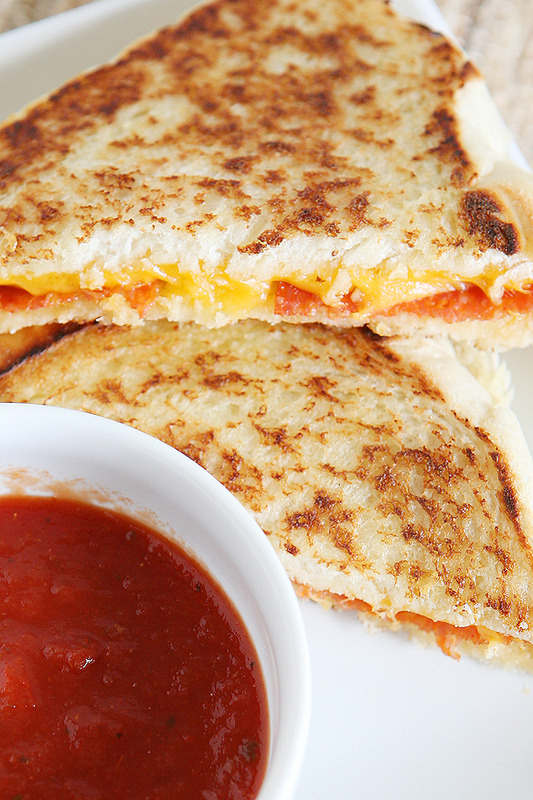 Our new favorite is Pepperoni Pizza Grilled Cheese. Maybe you’d like to give it a try on National Grilled Cheese Day? Make sure to butter all the sides of the bread. Then, throw one slice in a pan with a touch of melted butter. 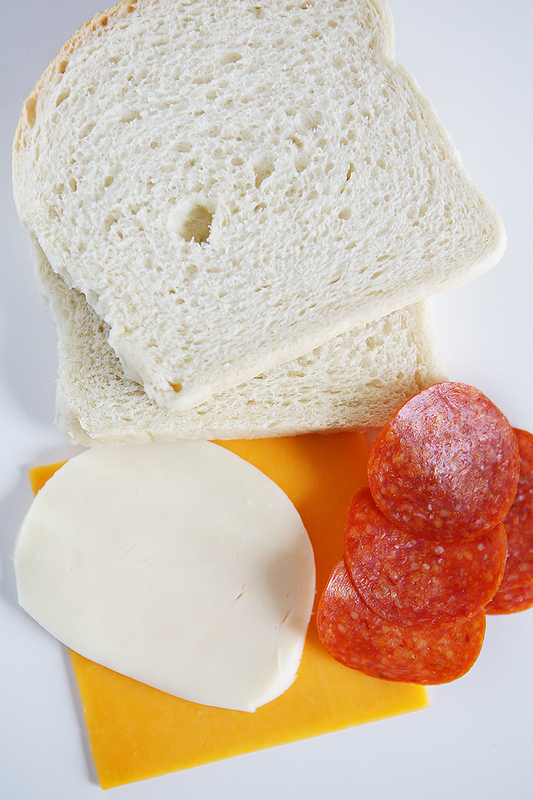 Add the cheeses and pepperonis and top with your second piece of bread. Make sure both pieces of bread are nice and toasted and that your cheese has melted. Warm up some pizza sauce for dipping. Super easy!! Let’s see what these two thought about it? 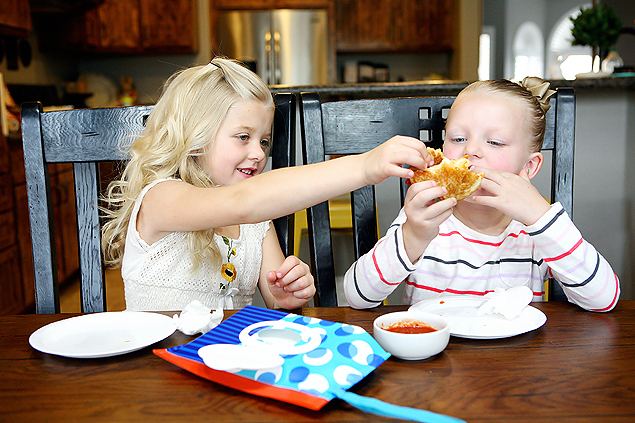 After a little Pepperoni Pizza Grilled Cheese toast, it looks like they love it! I call that a success! It’s okay if you get a little messy. 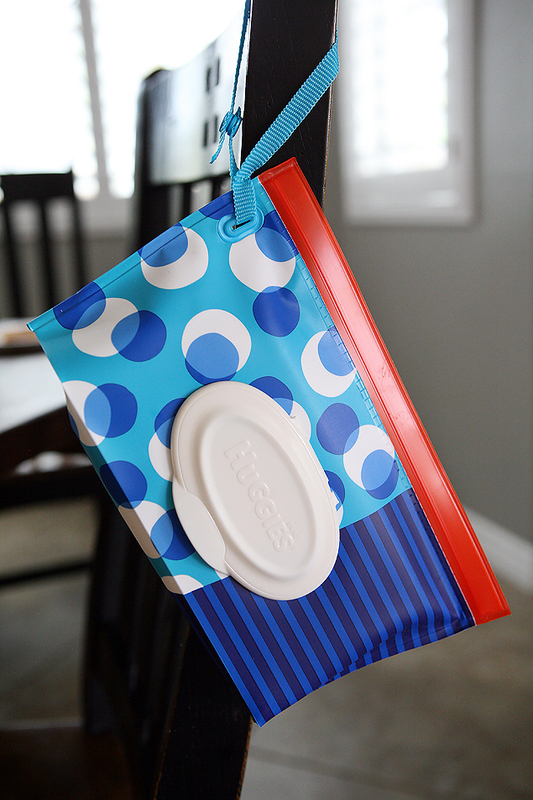 We always have some Huggies® Wipes on standby because we all know, kids outgrow diapers, not messes™. 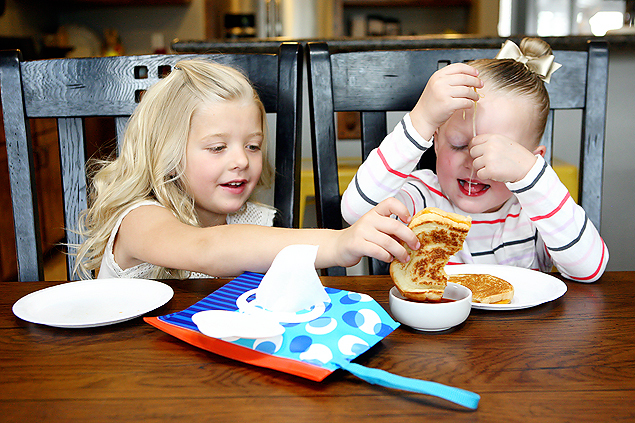 Huggies® Wipes aren’t just good for diapers or even Grilled Cheese. We keep them in the car, in the restroom (and throughout the house) and in our purses. If you are Huggies® Wipes lovers at your house too, you should join the Huggies® social media sweepstakes by posting an image of your messy kid to Twitter or Instagram with the hashtag #HugTheMessSweepstakes for a chance to win $2,500. 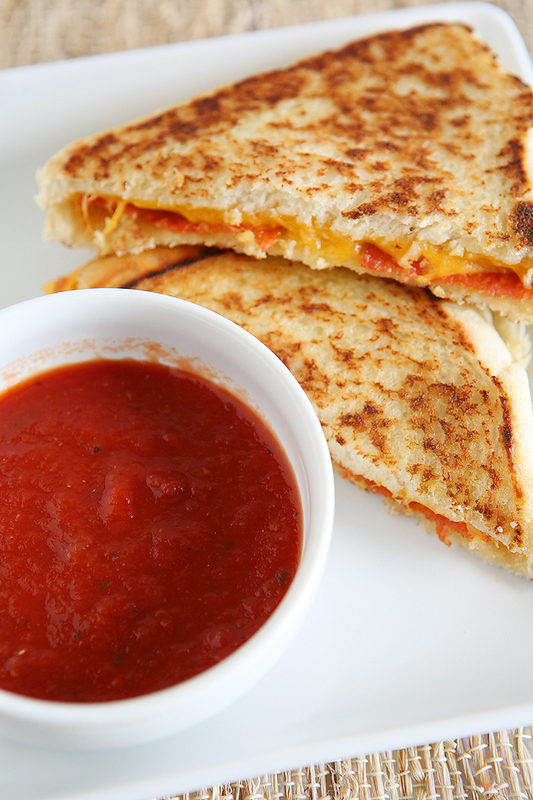 OMG your a life saver… I was planning to just make the kiddos plain ol’ grilled cheeses with Tomato soup. Oh I so can’t wait for tomorrow now… Did you know today is Fondue day.. and Wednesday is Peach Cobbler day but we don’t have any fresh peaches to make it fresh fresh, so now I have to resort to canned, wish me luck. Literally, I just found your blog by visiting someone else by chance and she had you listed as one of her favorites. She unfortunately doesn’t blog any more but I’m so happy you still do. How dumb do I feel that in 13+ years of mothering, I’ve never thought of grilled cheese hacks 🙈 This look delish for kids but also for ME! Yum!